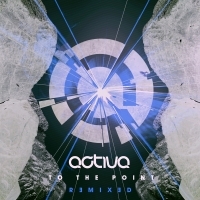 Following on from Activa's critically acclaimed second artist album "To The Point", Discover Records is now proud to present the "Remixed" version of the album featuring quality remixes from some of the best producers of their genre. Established names such as Jon O'Bir, John Askew, Ian Betts and Peetu S sit alongside artists including Sonic Element, Simon Bostock and a host of other exciting producers who without exception, have all delivered top draw remixes to make this album an exciting additon to Activa's original release. 'To The Point - Remixed' is available now from Beatport and iTunes.